Leading trailer manufacturer, MaxiTRANS Industries Limited (MXI) announces the appointment of Mr Joe Rizzo to its board as an independent Non-Executive Director, effective immediately. 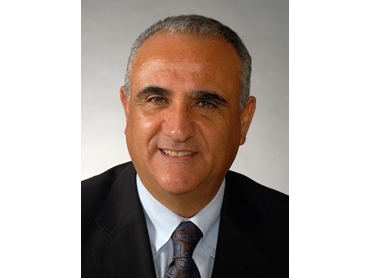 Having spent 35 years with PACCAR, the global manufacturer of Kenworth, Peterbilt, Foden and DAF trucks, Mr Rizzo was most recently the Managing Director of PACCAR Australia for six years where he led the company to a record performance. MaxiTRANS says Mr Rizzo’s appointment will add exceptional industry experience to its Board’s credentials, along with his extensive manufacturing, sales and marketing expertise. MaxiTRANS Managing Director, Michael Brockhoff said that they looked forward to the company benefitting from his valuable skills and experience gained from many years in the industry. Australia’s leading manufacturer of trailing transport equipment with class-leading brands such as Freighter semi-trailers, Maxi-CUBE vans, Peki rigid bodies, as well as Lusty EMS, AZMEB and Hamelex White tippers, MaxiTRANS is also a major supplier of truck and trailer parts through its MaxiPARTS retail and wholesale outlets.